At it's most basic, Google search results are a popularity contest. If people like your website, and link to it, you're all set. And if they don't, then you're going to have to sit by yourself in the lunch room. Google's famous PageRank algorithm (named after co-founder Larry Page) moves web pages up higher in search rankings when other pages link to them. It's pretty much as simple as that - the more pages that link to you, the better Google thinks your page is, and the higher up you'll find yourself in the search results. This part of the Photography SEO guide will focus on how to get those links from other pages, called backlinks, so that your photography website will move up higher in Google's search results for the keywords you've targetted. Part 1 of this SEO guide discussed how to identify relevant, achievable keywords for your website, and Part 2 discussed changes you can make to your website to help rank for those keywords. Building backlinks is much harder than on-page SEO, but it's impossible to get ranked without it. 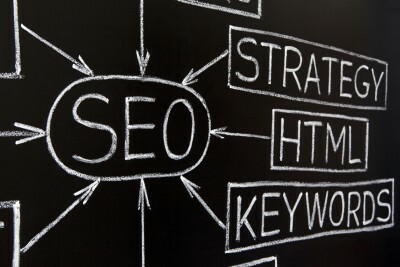 According to some research, backlinks count for almost 50% of search engine rank placement. 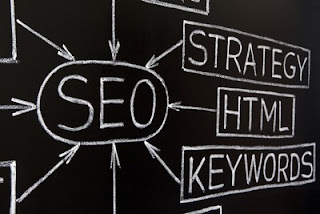 Every web page gets a rank from Google on a 0-10 scale, and the higher it's rank, the better it is to get a link from. For instance, a link from CNN.com (page rank 9) to your photography website is way better than from a lower ranking site. Of course, it's also much harder to get a link from those types of sites, and you can rank quite well without it. There are dozens of Photographer Directories on thenet, each with the purpose to provide links to photographers. Links from directories like these don't carry a lot of juice, but if you're just getting started, every bit counts. Also, check out any local photography associations and local business directories in your area, like the website for your local Better Business Bureau. It can be hard to get people to come to your photography website, but that isn't a problem Flickr has. Posting your best photos to Flickr is a great way to get noticed, and you can include a link in your photo description back to your website. Vary the text around the link every so often so Google doesn't think it's just duplicate content. For more about how to make the most of Flickr, see The Ultimate Guide to Becoming Popular on Flickr. Participate on photography communities to add to your reputation. 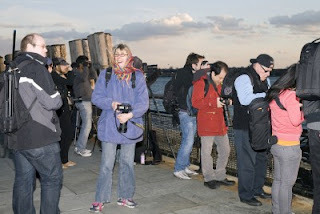 A great way to come across people who are capable of adding links to your site is to participate in photography forums. Adding to a discussion increases your reputation in the photography community, and may bring you to the attention of photographers who run websites of their own. Most forums allow you to put add a signature to your posts. If they do, make sure yours includes a link back to your website. Another great way to participate in the photographic community, and build backlinks at the same time, is to comment on blogs. Adding relevant comments is a good way to build up a network of online photographer friends, and like in a forum, you can usually include a link to your own website in the comment signature. As we saw in Part 2 of this Photography SEO guide, you're going to need to write a lot if you want to improve your rankings. Part of that is starting a blog. This may seem like a lot of work and a major hassle, but it's a great way to increase your rankings if you choose your topics carefully. A blog isn't meant to be a person rambling about any topic that comes to mind. Your photography blog should focus on topics related to the keywords you're targetting. If you're a sports photographer, write about how you covered a local game, including some of your photos, and with links to your portfolio. Google loves new content, and original content with links to your website will do wonders for your search rankings. Once you've got your blogging skills in order, you can consider writing guest blog posts for other sites. If you've been commenting on blog posts as I recommended, then you should have a pretty good idea of what blogs are most relevant to you. Write an email to the blog owner, and offer to write a blog post on a subject that is relevant both to you and to the blog's viewers. Writing an unsolicited email like that may seem intimidating, but don't worry. Blog writers are ALWAYS on the look-out for new content, and if you can make their workload easier, they're likely to take you up on it. In your email, be sure to include a link to your own blog, so the person you're writing to can verify that you're a decent writer with good subject knowledge. Every Photographer needs a Facebook Fan page. They're free and easy to setup. Once you've created one, be sure to post photos to it on a regular basis, so people who find your page can "like" your work. Whenever you make a blog post, share it on Facebook. Facebook links may not get you a lot of link juice from Google, but it is a good way to gain exposure, and people who find your fan page may blog about it. Here's an example of a Facebook Fan Page. That sums up our Photography SEO guide. I know it looks like a lot of work, but the results can be amazing, especially when you finally start getting work because someone found your webpage. Eventually, your search engine rankings can become a major source of new clients. If you're interested in reading more online, I strongly recommend the Photographers SEO Book from the guys at Photographers-SEO. Their entire site is devoted to teaching photographers about SEO, and they really know their stuff. The book covers all the subjects we've covered in this guide, plus many more, in far greater detail. Buying the book also entitles you to great training videos. If you have any questions about any of this, you can leave a comment below, or email me at john@watermarquee.com.